Thank you to everyone who made an extra donation to the event. Financially, it would not have been possible with only the revenue from ticket sales. 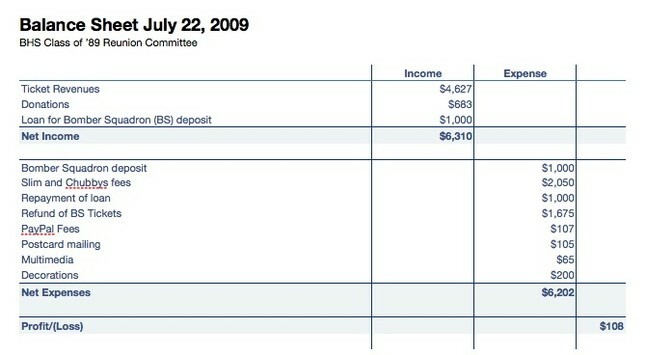 Here is the current (July 22) balance sheet for the reunion committee. Please use the contact us link if you have any questions.